Oh my heck I love this polish. I mean LOVE it! It makes me think of an orange popcicle every time I look at my nails. It's dreamy. And squishy. And just wonderful. Did I mention I love this polish? 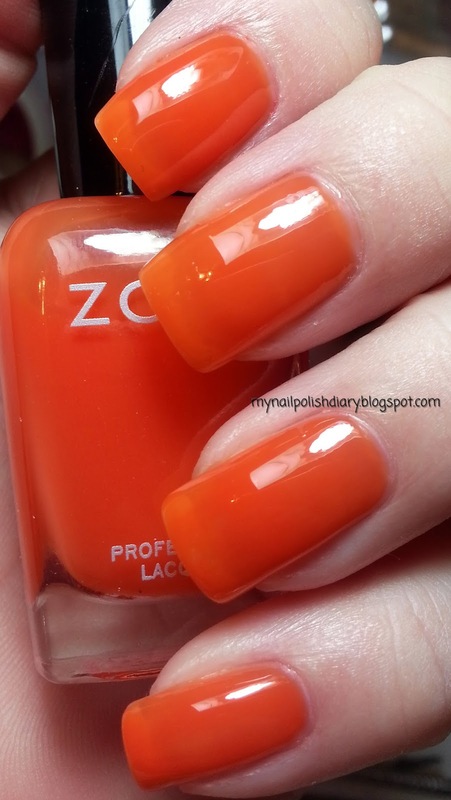 Zoya Coraline is part of the Blogger Collection just released for spring. This collection is Limited Edition, but still available at Birchbox.com for $22 with free shipping. Ever been to birchbox and looked around? They have some nice stuff. They also have a monthly subscription you can get where they send you high end samples of products once a month. I've been getting them for quite a while now and there's always something in there I love. So far, there's only been perfume samples that I haven't liked. Everything else was high quality nice products. If you're interested in checking it out or joining, click here for information. Back to what we're here for though, Coraline. 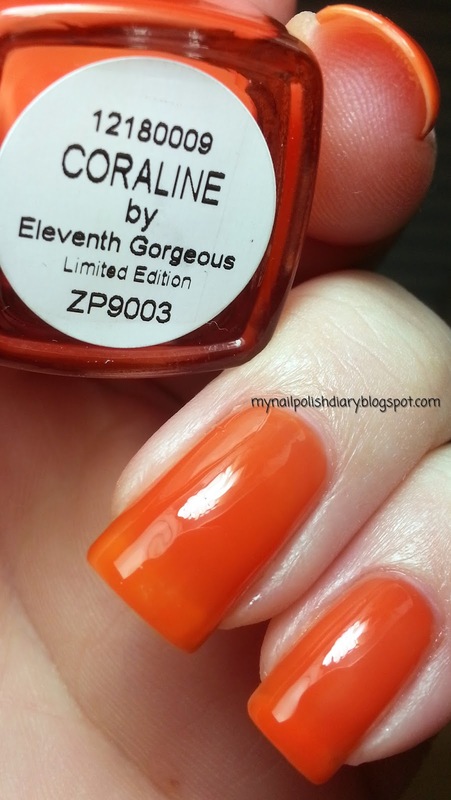 It's a true orange shade that has a jelly finish, which I adore. Jellies are so fun! I love orange. (What can I say, my home town is in Tennessee and we are bred to love orange. Go Vols!) It applied perfectly. I did 3 coats. If you want it more opaque you should probably use some underwear so you don't have to do even more coats. It's so shiny you could skip the top coat, though I used a coat of Poshe. Gotta use my quick dry top coat! My pictures do not do this beauty justice. Nice!! This is the first time I've seen Coraline swatched on its own. This collection looks so fun and squishy and summery. I hope Zoya starts distributing them to their brick and mortar stores. Thanks Liesl. I hope so too! Everyone needs these!! !